The first trailer for Spider-Man: Far From Home has finally dropped, giving a first look at this year's Spider-Man sequel. 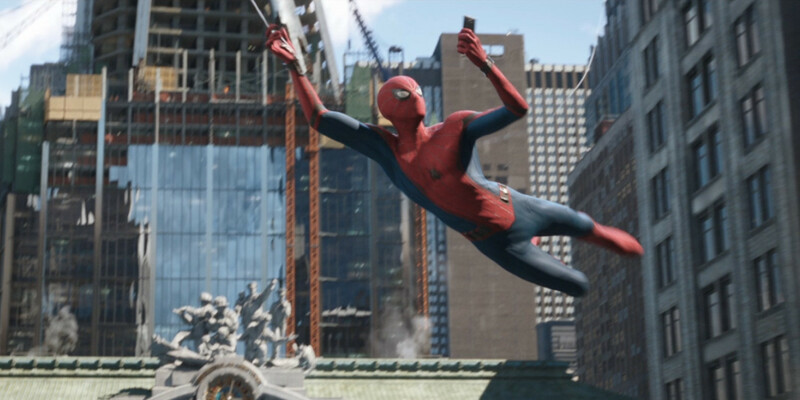 According to Sony's Amy Pascal, Spider-Man: Far From Home is set minutes after the end of Avengers: Endgame. Kevin Feige has said this film will introduce viewers to the post-Phase 3 MCU. Naturally, the Spider-Man: Far From Home trailer goes to great lengths to avoid spoiling the plot of Avengers: Endgame. It's expected that the snap will either be undone or averted, and that everyone killed by Thanos will return; but this trailer carefully avoids even hinting at how that happens, nor does it indicate what the cost of defeating Thanos may have been. Instead, it's a light-hearted action adventure that promises to see Spider-Man head out of New York and confront a wave of dangerous new foes in Europe. The Spider-Man franchise had a stellar 2018, with Tom Holland playing the wall-crawler in Avengers: Infinity War, Sony's Venom spinoff proving a massive hit, and the award-winning Spider-Man: Into The Spider-Verse garnering praise from fans and critics alike. If this first Spider-Man: Far From Home trailer is anything to go by, 2019 is sure to be just as good. So here's our breakdown of all the key takeaways from the trailer. Spider-Man: Homecoming ended with Aunt May walking in on Peter Parker and discovering his secret identity. In the comics, Peter kept that secret from her because he felt she'd worry, concerned about whether her health would be up to the shock. The MCU version of Aunt May is a lot younger, and a lot cooler; it seems she's found her peace with the fact that her nephew is really Spider-Man. No doubt it's a lot easier for Peter not to sneak around the house, even if he is slightly weirded out by some of the ways his civilian life is now blending with his superhero life. It's possible Spider-Man: Far From Home will flesh out Marisa Tomei's Aunt May a little in doing this. Here, she's introducing Spider-Man at a charity event, where they're raising money for the homeless. In the comics, there was a period where Aunt May worked at the F.E.A.S.T. homeless shelter (something adapted into the PS4 Spider-Man game), so this seems appropriate; perhaps this is where May works in the MCU as well. It's interesting to see that Spider-Man is being asked to help raise money for charity. In the comics, Spider-Man is traditionally viewed with distrust by New York, his reputation not exactly enhanced by J. Jonah Jameson's editorials. 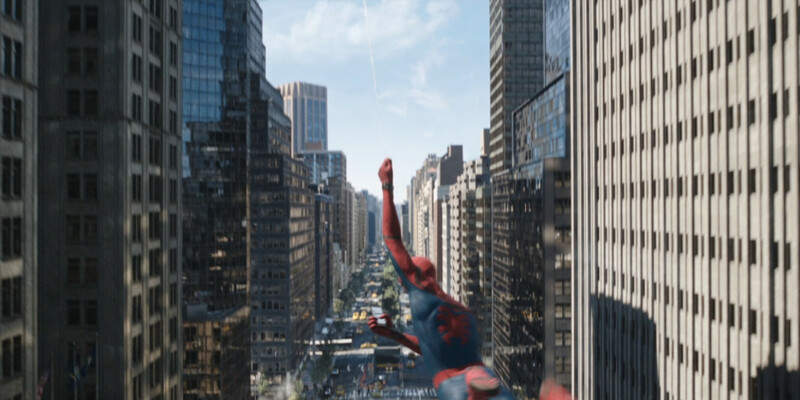 The movies have often taken a different approach; even in the Raimi trilogy, it was frequently made clear that the public generally supported their friendly neighborhood Spider-Man. It looks as though the MCU is following Raimi's lead, with Spider-Man treated as a local celebrity, even attending charity events. That's a major difference between the MCU and the comics. Related: What Is The Song In The Spider-Man: Far From Home Trailer? 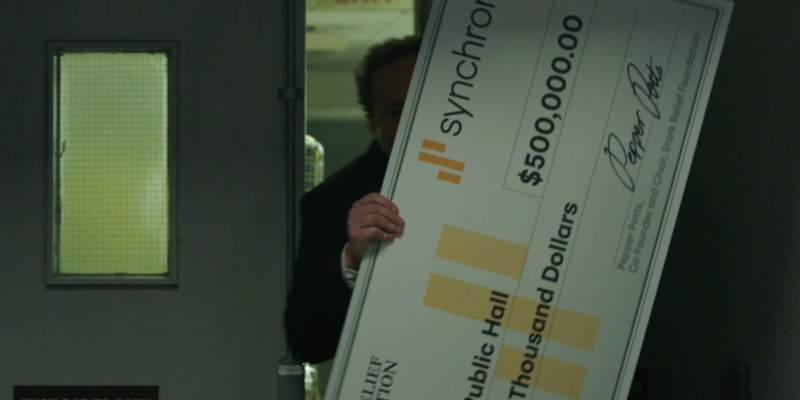 Enter Happy Hogan, carrying a giant check for charity paid out by Stark Industries. This is followed by an awkward scene in which Happy chats with Aunt May, and it's absolutely clear that they're beginning to fall for each other. The uncomfortable romance is played out brilliantly, and Peter is understandably shaken at what he's just seen. Happy's giant check is signed by Pepper Potts, not Tony Stark. It's important to note that this isn't a hint as to whether or not Stark will survive Avengers: Endgame; Tony put Pepper in charge of Stark Industries years ago, which means her signature would naturally go on the check. Hemky Madera is reprising the role of Delmar, a local shopkeeper in Queens. His deli was trashed during Spider-Man: Homecoming, but it looks as though his insurance paid out for the damage; presumably New York insurance policies now cover Acts of Superheroism. Delmar was interested in Peter's Aunt May, and would no doubt be disappointed to hear he has competition. After five Marvel movies, Spider-Man: Far From Home finally shows the wall-crawler doing some proper web-slinging. There was none in Captain America: Civil War, Spider-Man was new to the idea in Spider-Man: Homecoming, and there were only hints of it in the Manhattan sequence in Avengers: Infinity War. Given Spider-Man is presumed dead for the bulk of Avengers: Endgame, it's seriously unlikely he'll do much web-slinging there either. So this sequence is important, confirming that Spider-Man has been practicing his web-slinging over the years, and has become more than a little competent at it. Look closely, and you can see that building work is being done on Avengers Tower. Is the tower's mysterious new owner choosing to renovate it, or was it damaged during Avengers: Endgame? Certainly this is significant, given that the sale of Avengers Tower was a major plot in Spider-Man: Homecoming, one many think will mark the introduction of the Fantastic Four to the MCU.